Food Costs > How Much Do Carrots Cost? How Much Do Carrots Cost? Carrots are root vegetables, usually orange in color, although there are red, purple, and white varieties available. The most commonly consumed part is the taproot, but the greens on top of the carrot are edible as well. Carrots, like other vegetables, are very healthy as they are rich in dietary fiber, antioxidants, and minerals. They can be used in many different recipes or eaten raw as a snack. The price of carrots depends on where you purchased it from, the geographical location and the time of year. On average, whole carrots at the local grocery store or market can cost anywhere from $1 to $2 per pound, depending on the season. At Walmart, for instance, carrots will cost about $0.049 per ounce or about $0.80 per pound. Carrots with the organic label could cost 30 to 40 percent more. The Earthbound Farm Organic mini carrots, for instance, retail for $3.50 per two-pound bag. Baby carrots, which often come in a one-pound clear bag, will cost closer to $1.50 to $2.50 per pound. Shredded carrots, like the baby carrots, will also come in a 10 to 16-ounce clear bag and will be around the same price, $1.50 to $2.50 per bag. Carrot seedlings, such as imperator, cosmic purple, hybrid, and atomic red, can cost $1.50 to $3 per pound. The USDA says the average canned carrot will cost $1.06 per pound, while frozen will be closer to $1.46 per pound. 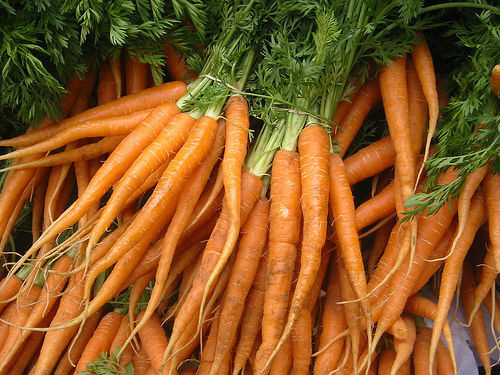 Raw baby carrots average $1.46 per pound and raw whole carrots can cost $0.74 per pound. Lisa on Living Shalom broke down the cheapest carrot options for juicing. In her analysis, she claimed a five-pound bag at Whole Foods is about $4, while a 25-pound bag retailed for about $19. A 10-pound bag at Costco retailed for close to $7. Carrots are free from fat, cholesterol and are very low in sodium. They are a great source of fiber, which can help aid digestion and will be high in vitamin A. Raw carrots are also rich in beta-carotene, which has been shown to boost the immune system, improving cell-to-cell communication, decreasing the risks of cancer. There are 50 calories in a cup of baby carrots or strips and or slices. 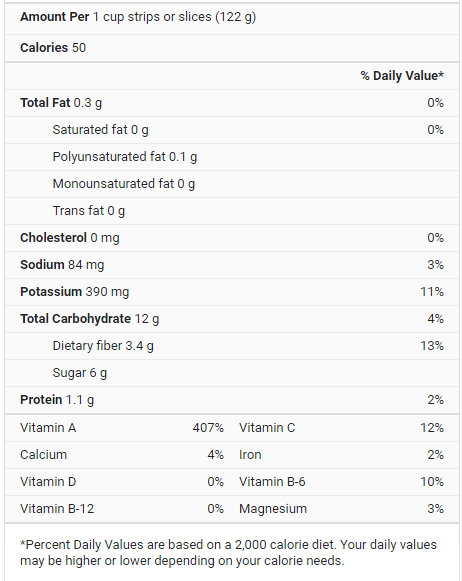 One cup also has 12 grams of total carbohydrates, three grams of dietary fiber, six grams of sugar and 1.1 grams of protein. Carrots can be eaten raw, can be boiled, baked, juiced and even put in salads and stir-fries. Experts say that the bigger a carrot is, the more flavor it will have. Consider looking for carrots larger than six to eight inches for full flavor and pay close attention to the color. Aldi recommends picking carrots that are smooth, firm and have a deeper color. When storing carrots, be sure to rinse them down and drain them so no water is left over. Seal them in a tight bag and put them in the coolest part of the fridge to make sure they can stay fresh longer. Check with local farmers markets as they tend to be cheaper than the grocery store. If purchasing bagged carrots, consider buying the grocery store brand as these tend to be about 30 to 40 percent cheaper than a name brand. As mentioned above, buying in bulk can bring the costs down and this can be a great option for those who are juicing or need more than three to five pounds. A 10-pound bag at Costco, for example, can bring the costs closer to $0.60 per pound. Costco and Sam’s Club will be your cheapest option most of the time, but most local grocery stores should have five to 10-pound bags, depending on which company you choose.